Last weekend we decided to head inland and ended up near Lares, a town nestled in the hills southwest of Arecibo. Lares is famous for a few reasons, the first reason we stopped here was for the ice cream!! 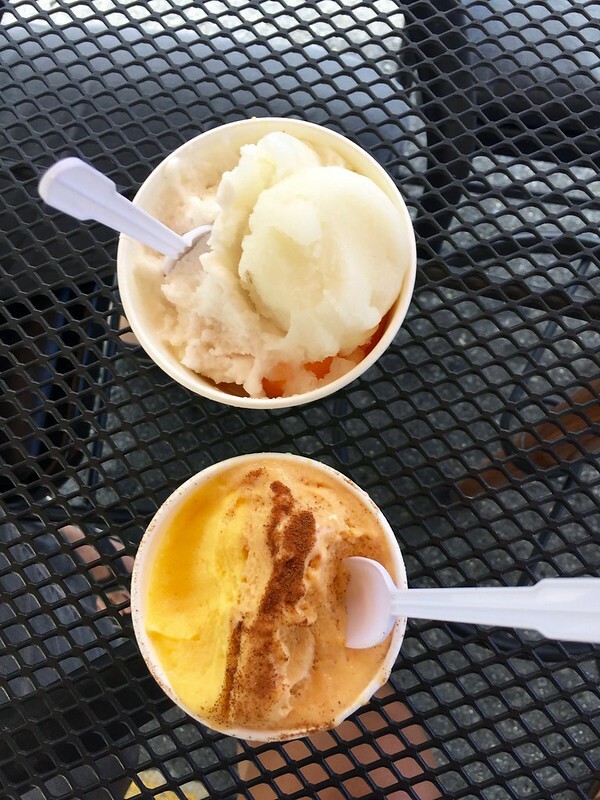 The original heladeria in Lares was run by a prominent independista whose shop was covered in independence movement literature, but it was also famous for it’s wide variety of ice cream flavors from all types of fruit to rice and beans flavor. 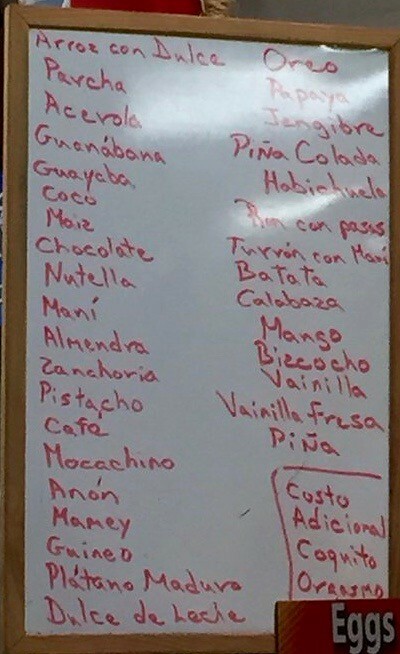 That shop has since been shuttered but another one opened a few doors down with less independence movement enthusiasm but equally as interesting ice cream flavors. We sat out on the street enjoying our ice cream, listening to music and watching the day go by in the town square. Alejandro enjoyed coconut, guanabana (soursop), and parcha (passion fruit). I feasted on calabaza (pumpkin) and maize (corn). But what makes Lares more famous than it’s ice cream is that it's the birthplace of the Puerto Rican independence movement and Puerto Rican Nationalism. A revolution against Spanish rule was in the works from the beginning of 1868, led by the Revolutionary Committee of Puerto Rico. The founders of the committee were Dr. Ramón Emeterio Betances and Segundo Ruiz Belvis who had been exiled by the Spanish to the Dominican Republic. Throughout Puerto Rico secret cells of the committee were established to bring together Puerto Ricans from all walks of life who wanted a Puerto Rican republic. 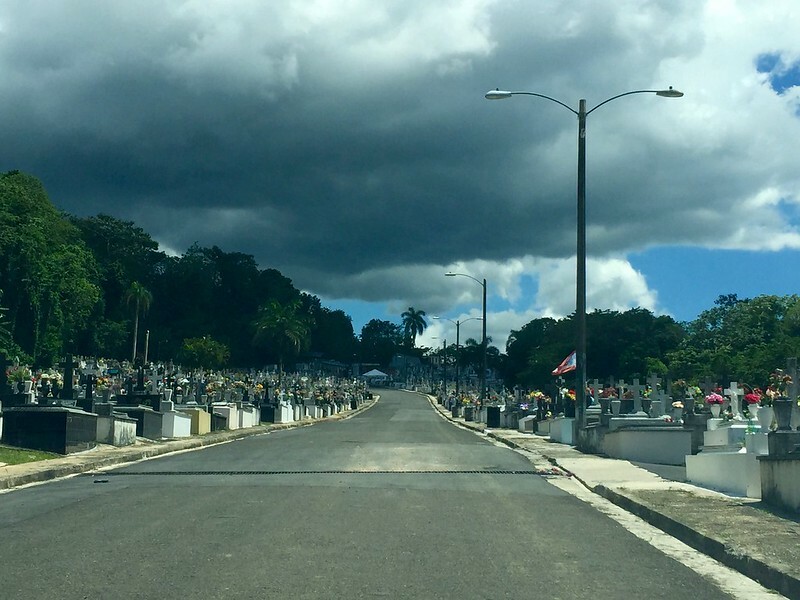 With the support of the Dominican government, Betances planned to bring a ship with weapons and a small army to support the uprising that was planned for September 29 in Camuy. To the revolutionaries disappointment the plan was found out, the Camuy committee leaders were arrested, and the Spanish stopped Betances’ ship from leaving the Dominican Republic. Fearing arrest, the rest of the revolutionary leaders decided to move up the date of the revolution to September 23, 1868 and change the location to Lares. Some 400-600 rebels marched into the town of Lares, destroyed Spanish owned stores, took over city hall, and held Spanish and Puerto Rican government officials hostage. By placing the revolutionary flag on the alter of the church the rebels proclaimed the Republic of Puerto Rico had been created and all slaves were free who joined in the rebellion. 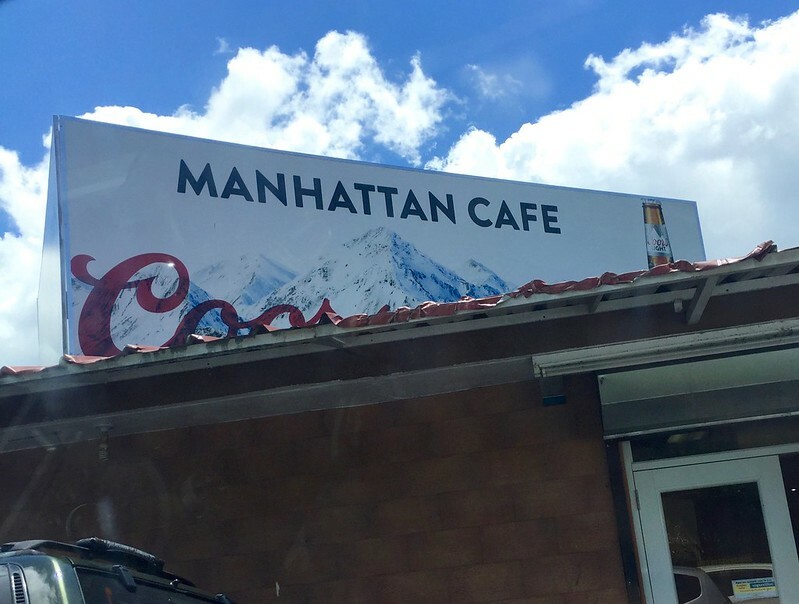 The uprising lasted until the next day when the rebels attempted to take the next town over and were pushed back to Lares by the government backed Puerto Rico militia. Without the weapons from the Dominicans the rebels were under-armed and were soon rounded up by the militia. The rebels were all sentenced to death for treason and sedition. In 1869, with Spain trying to appease the unrest, the incoming governor of Puerto Rico pardoned all the prisoners although the high level committee members including Betances were to be, or to remain in, exile. The uprising in Lares became known as El Grito de Lares (The Cry of Lares). 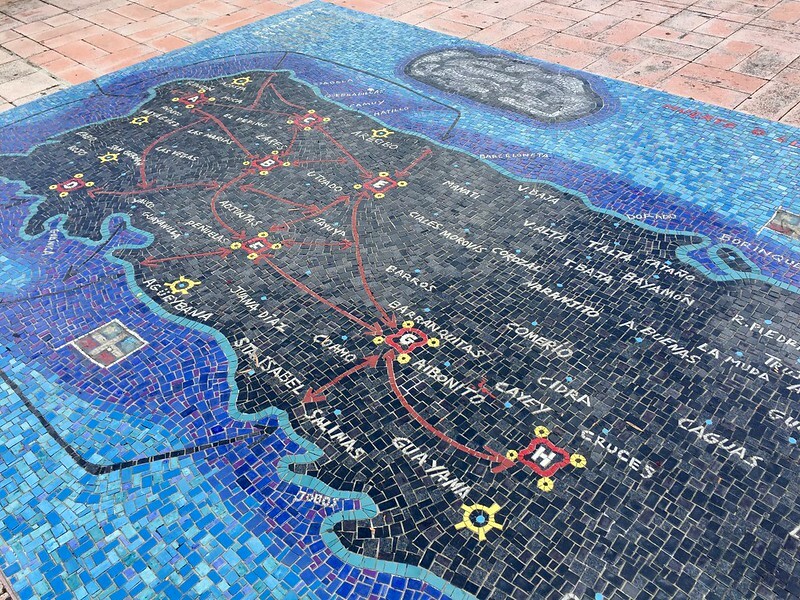 In the plaza, known as Plaza de La Revolución, there is a mosaic map that shows all the secret societies of the Revolutionary Committee throughout the island. There is also a tamarind tree, planted as a commemoration of the uprising. In the 1930’s Pedro Albizu Campos was the leader of the Puerto Rican Nationalist movement and a firm believer that the uprising was a day to be commemorated with ritual not parties as had been done by the movement in the past. 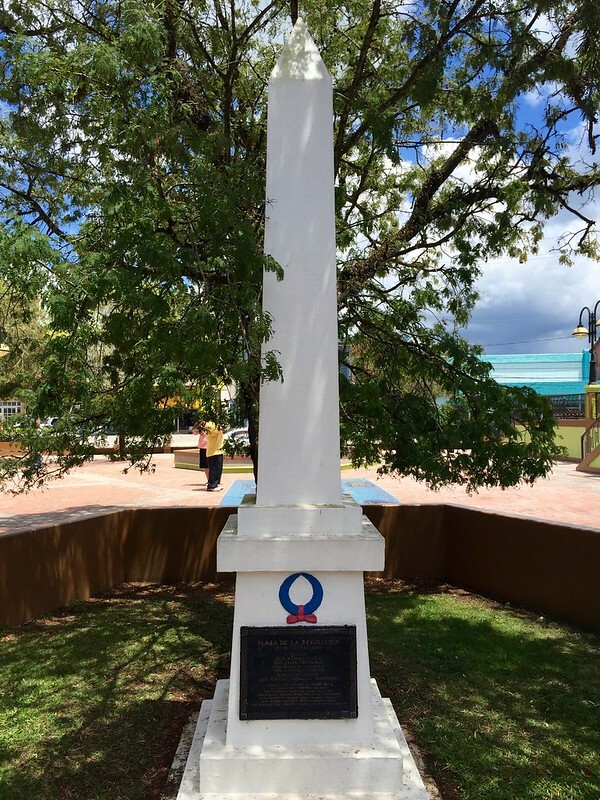 Albizu Campos commemorated the struggle for freedom and independence by planting a tamarind tree in the plaza with the soil from the 18 other Spanish speaking countries of Latin America - the tree had been a gift to Albizu’s family and came from the estate of Simón Bolivar, El Liberador. Besides the commemoration of the revolution, the plaza also holds the beautiful town church and also includes information about other points of interest in and around Lares. We tried to find the Memorial to the Revolution which is supposed to be at the far end of the cemetery but we weren’t able to find it. The cemetery itself is really huge and quite beautiful. On the way home, we took a different path that was incredibly windy, narrow, and what felt to be free of human touch in some places. The jungle was taking over the roads in some areas and vines would hit the top of the car as we made some turns. The best part about driving on roads like this is around each turn is something different and a new view to take in. 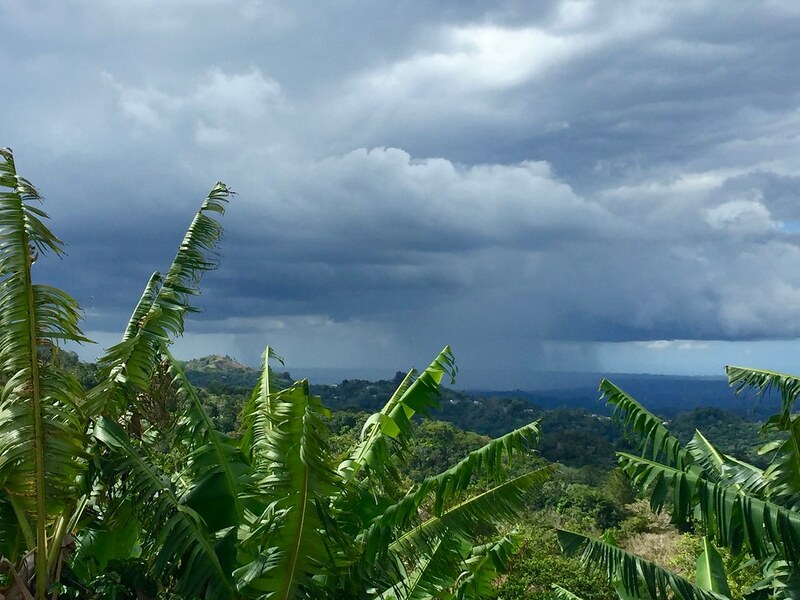 Also, the weather can change in an instant, and it’s wonderful to be on top of a mountain and see a rainstorm two hills over while you’re standing in sunshine. It’s no wonder the people of this island have so much pride for this big rock in the ocean.